It is great to have always the items you need at hand. 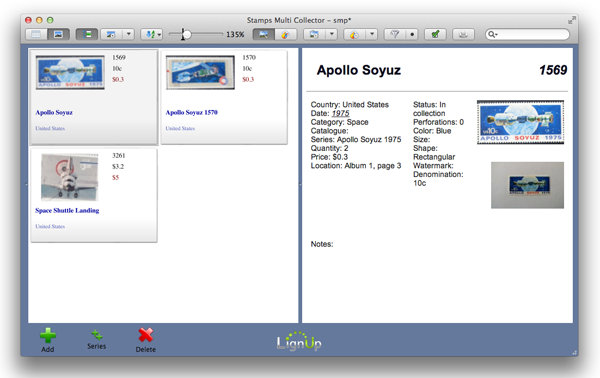 Stamps Collector was developed to make the collections on your computer organized and automated. The full-fledged database allows you to find and sort necessary records instantly, to keep all images in order and view them right through the program interface and has some special functions for working with stamps. In addition you get the Universal Multi Collector for Mac OS and Windows. With SoftColor photo sledgehammer you can do oneclick automatic color correction to digital photos. Sledgehammer utilizes power of illumination spectrum which helps you to make professional photo tuning extremely easy and fast.